Prisoners in the Alice Springs Correctional Centre have put skills learnt in their training programs to use in the restoration of a historic 25 pound World War II gun. The ‘Ordinance-QF 25 Pounder’ is a significant piece of Australian military history and was in use with Australian and Commonwealth forces from 1940 well into the 1980s. Australian Army units used variants of the 25 pounder in World War Two as well as the Korean War and Malaysian Emergency. Prisoners in the Construction and Development program, who have been developing their engineering and metalwork skills, restored the split-rim wheels, while prisoners in the carpentry and furniture program built ammunition boxes, a seat, display stand and other timber fittings. 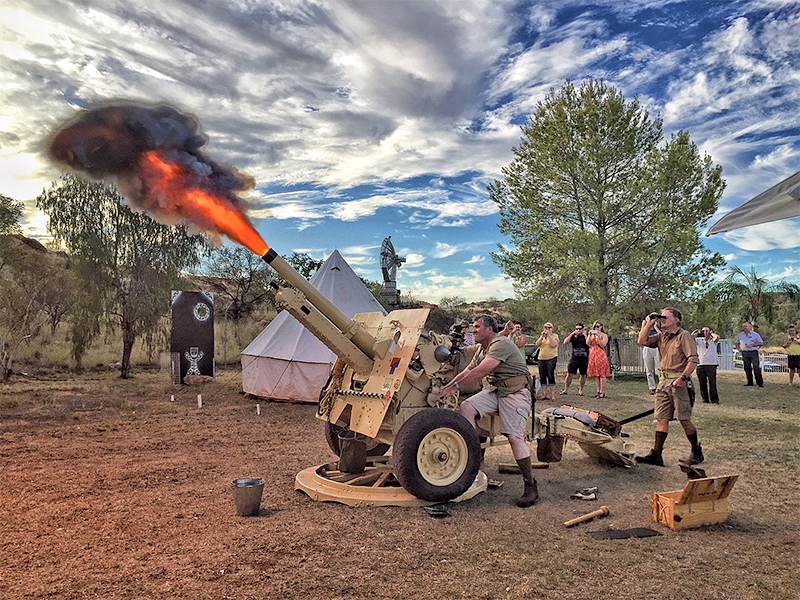 The restoration project finished with a bang when the gun was fired in a ceremony near ANZAC Hill on 29 February before being donated to the RSL.